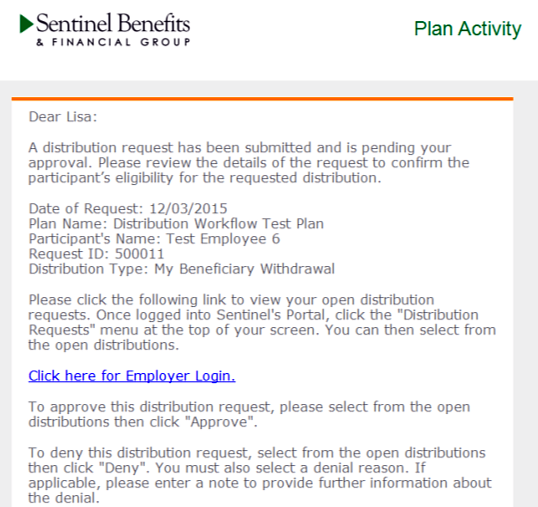 The only types of distributions that employees can choose from are those that are allowed via the plan document. If an employee has left the organization, Sentinel must have a separation of service date in it’s system before this option becomes available. menu at the top of the page. 2. Here you will see a list of outstanding distribution requests. 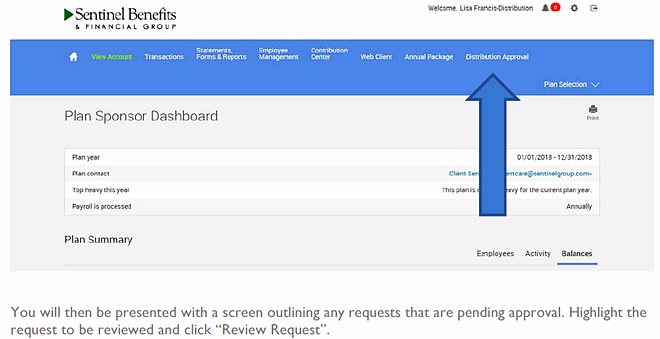 Highlight the employee you want to review and select “Review Request”. 3. All of the information the employee has entered regarding their request should now be presented on your screen. 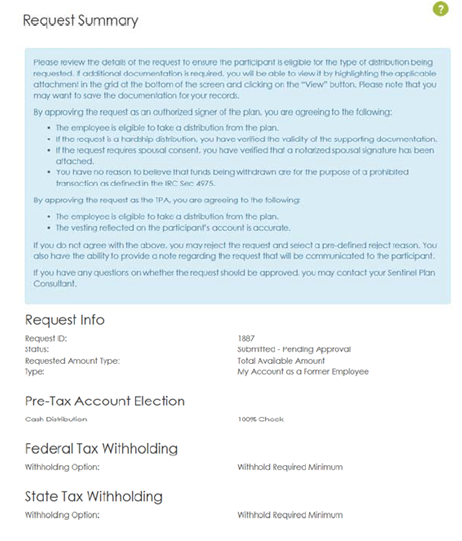 Additionally you will find information regarding recent employee account access activity as well as the results from the personalized Q&A quiz that the employee must complete. If you are uncomfortable with anything you see, it would be best to contact the employee to confirm they did make this distribution request. the form of a “pass” or “fail”. 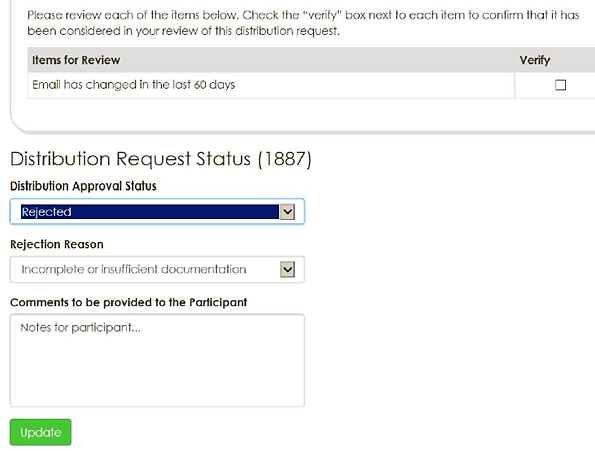 to confirm that you have considered it as part of your review of the distribution request. 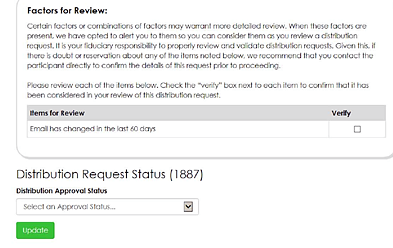 menu, certify your review, and click “Update” to approve the request. Select “Rejected” if you wish to deny the request. If you feel the employee is not eligible for this request, you may deny the request. If you choose to deny the request, additional options will now present themselves allowing you to select a reason for the rejection as well as an area to enter in some additional comments. All information entered regarding the rejected status will then be shared with the employee. If a distribution request is rejected, the employee must create a new distribution request if they wish to resubmit their request.